This book connects actually with someone that I know because she likes to explore and see new things just like Geronimo and that is my mom they are similar in that way. 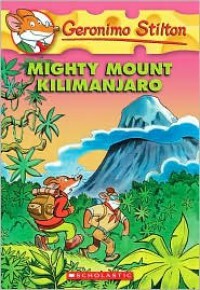 This book connects with the book ''Rumble In The Jungle'' by Geronimo Stilton because him and his rodent friend went on a adventure in the jungle and the book I read connects with him going on a adventure. I would recommend this book to anyone who likes mysteries or adventure because that's mostly what all his books are about and there and because there just very fun and interesting to read.